Generate customized TeamViewer modules that contain your own logo and text free of charge. Give a personal note to interactions with your customers. The TeamViewer Management Console contains many of the advanced features that make TeamViewer such a powerful and versatile tool for remote support, remote access, and collaboration. Included among the features within the TeamViewer Management Console is the ability to design and deploy customized customer modules. 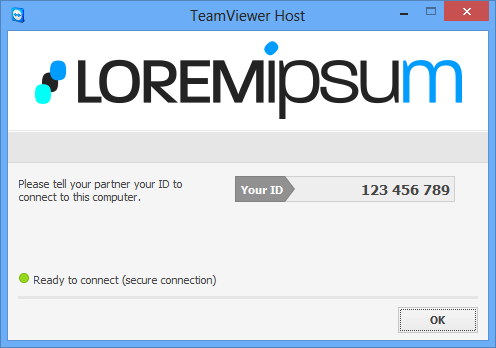 Log in with your TeamViewer account and get started today! 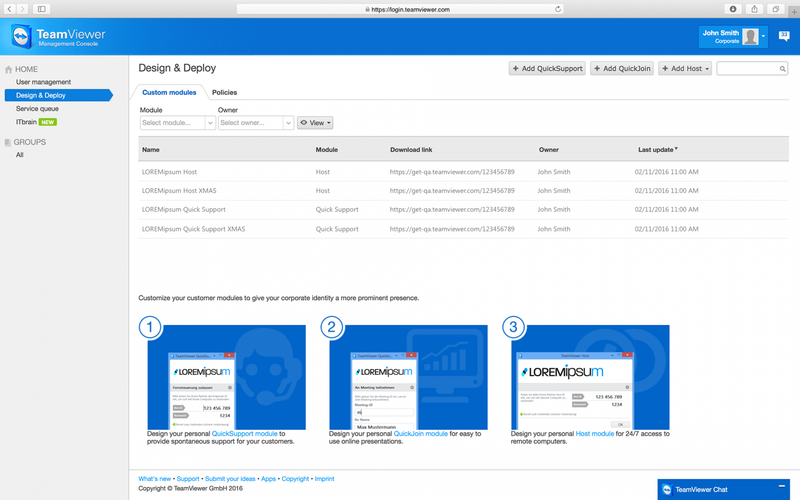 Your customers use your customized QuickSupport module to allow access to their computers without having to install TeamViewer. 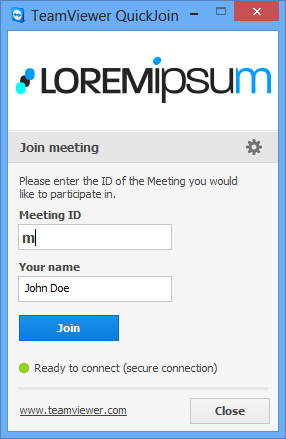 Enable people who don’t have TeamViewer installed to still participate in your meetings. Create your own TeamViewer button for your website. It’s easy and free! 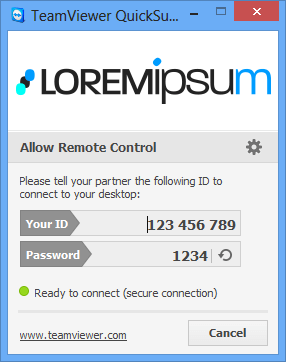 Link to TeamViewer or directly to a custom module that you have created.